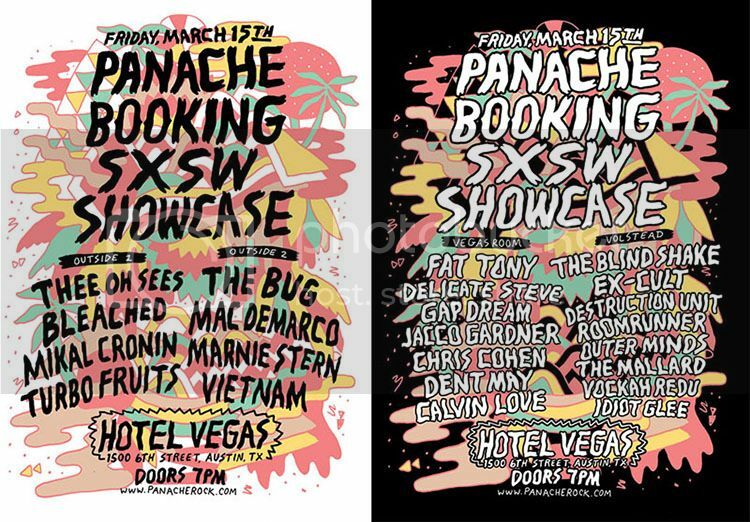 Panache Booking is very excited to announce our official SXSW showcase this year in Austin! Panache will be hosting a 4 stage extravaganza on Friday March 15 at Hotel Vegas featuring nearly 25 bands including Thee Oh Sees, The Bug, Bleached, Mikal Cronin, Marnie Stern, VietNam, Ex-Cult, Destruction Unit, The Blind Shake & more!!! It’s going to be wild! We will be announcing more events & parties soon. More info here. Panache welcomes new artists Fuzz, Marnie Stern, Marissa Nadler, Coliseum, Homeboy Sandman, Barren Girls, & Black Pus to the roster. Panache is excited to welcome several new artists to our roster. Fuzz, Marnie Stern, Marissa Nadler, Coliseum, Homeboy Sandman, Barren Girls, & Black Pus are exciting additions. Many will be touring around new releases this spring/summer. Stay tuned for more details. 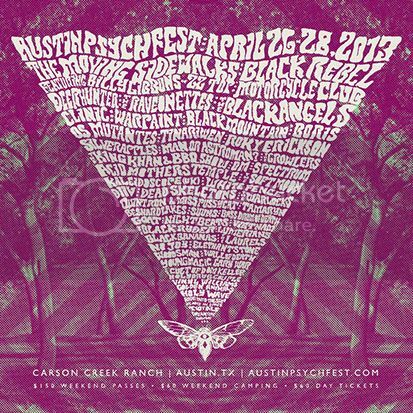 Panache is pleased to announce that several acts on our roster will be playing at this year’s Austin Psych Festival held at Carson Creek Ranch on April 26-28, 2013. Quintron and Miss Pussycat, White Fence, VietNam, Black Bananas, Woodsman and Gary War will performing over the 3 days. Check out the entire lineup here. Tickets available here.